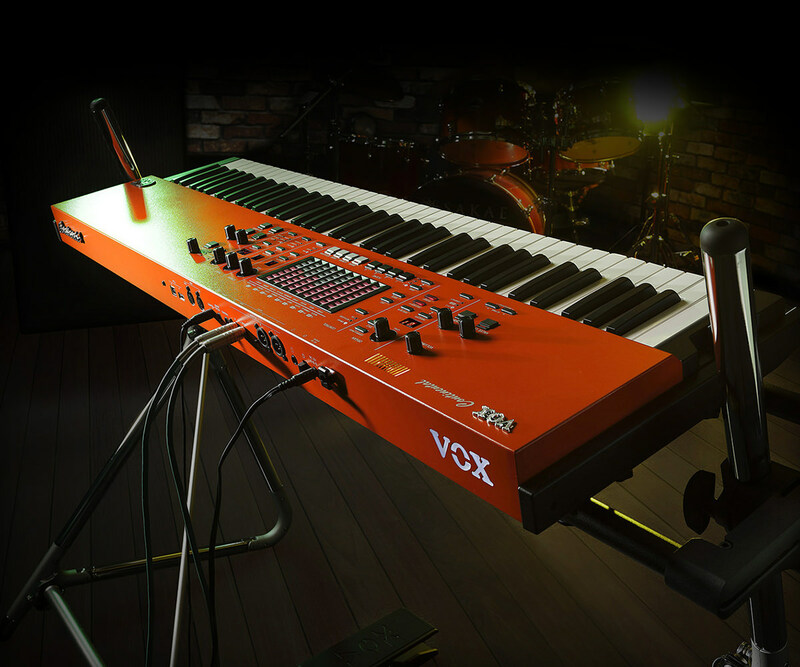 VOX returns with a stage keyboard crafted with the professional player in mind. 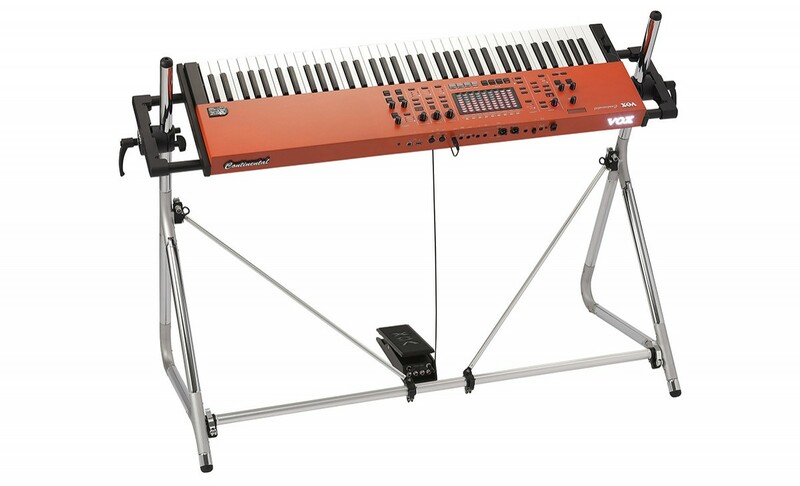 A live stage environment is a demanding performance space for a keyboardist. 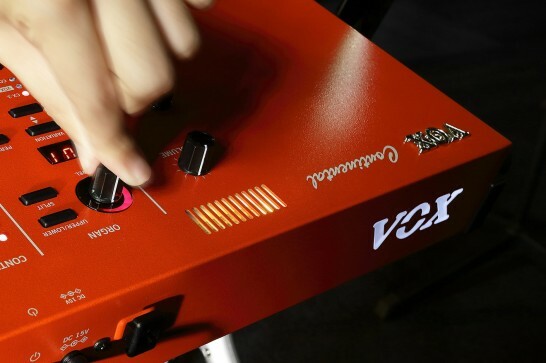 With an intuitive interface that's designed for on-stage playability, the VOX Continental gives you instant access to all functions from its front panel. 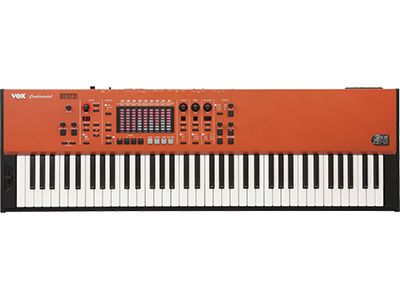 The easily-understandable panel layout independently places the four parts (ORGAN, E.PIANO, PIANO, KEY/LAYER) and lets you instantly switch them between on, off, and layer states. Scene memories let you quickly recall programs and effects settings. 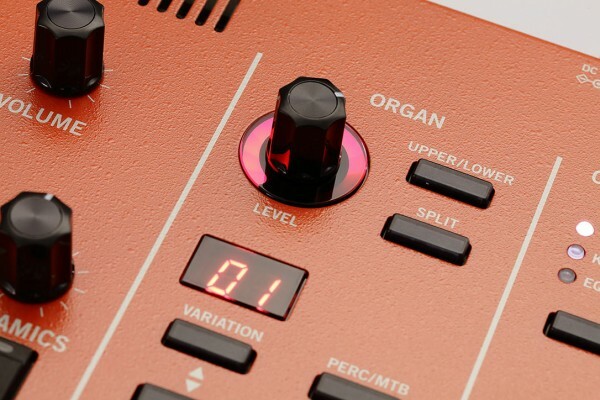 You can use the touch sensors to control a variety of parameters in addition to the organ drawbars. All of this functionality is designed for players who performs daily on stage. The greatest distinction of the VOX Continental's interface is its revolutionary LED-equipped touch bars that shift function according to the situation. 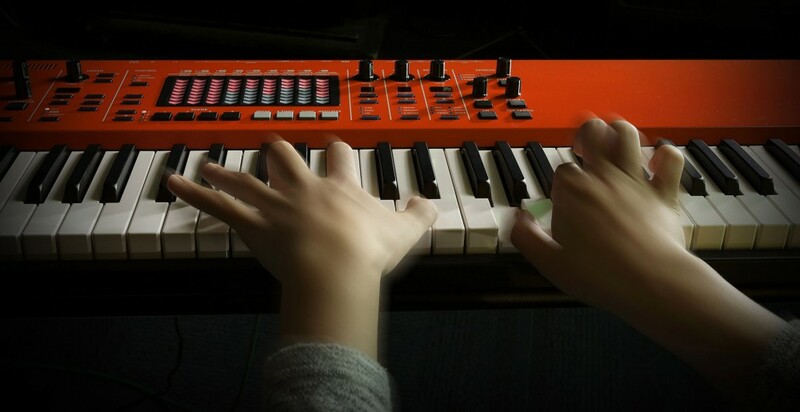 ・When you're playing an ORGAN part, they function as touch drawbars that you can control directly with your fingertips. ・When you're playing a KEY/LAYER part, they function as sliders that control parameters such as EG and filter. ・When the EQ is on, they function as a nine-band graphic master EQ. 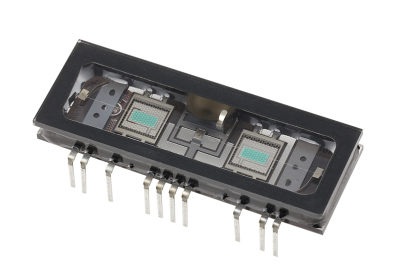 These are electrostatic touch sensors that smoothly respond to a light touch of your fingertips; they provide the graphical operability of drawbars, together with the programmability that users expect from today's technology. Their concave shape facilitates smooth movement of your fingertips, and also allows you to sense intuitively how far the control has been raised or lowered, without requiring you to glance at the controller during performance. 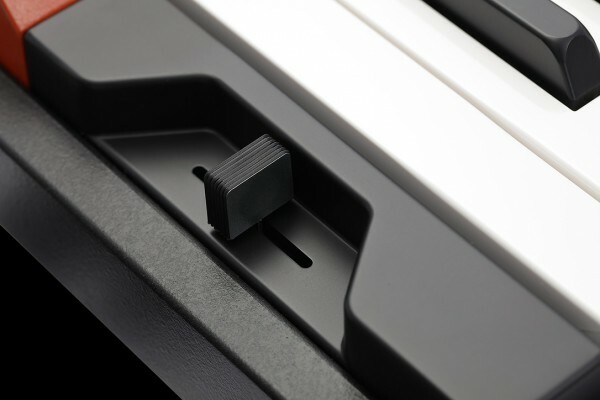 These are not the commonly-seen physical sliders, nor are they buttons; rather, these touch sensors are precisely matched to the player's senses, delivering a revolutionary ease of use. ​As an additional controller, a bend lever is also provided. 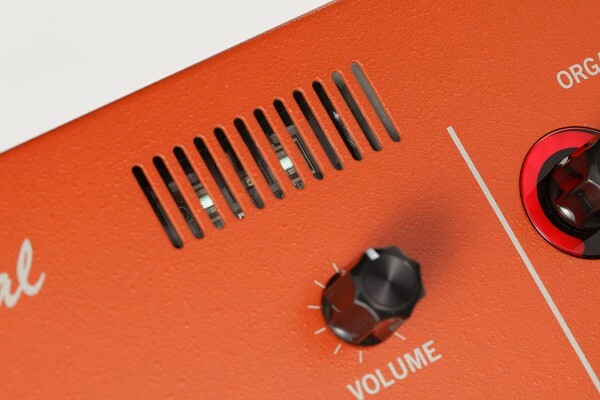 You can use this to freely control the speed of the rotary speaker simulation, tremolo, or pitch bend. Adding stunning presence and the warmth of vacuum tubes, KORG's Nutube is a new type of vacuum tube that powers valve drive sound, smooth distortion, and a dense and fat sound that cannot be obtained by modeling. The nuances of drive can be intuitively controlled by a dedicated switch and knob even while you perform. The light emanated by the Nutube circuit adds a visual element to its audible effect. Nutube is a new type of vacuum tube that was developed by KORG Inc. and Noritake Itron Corporation utilizing vacuum fluorescent display technology. Like a conventional vacuum tube, Nutube has an anode grid filament structure, and operates as a complete triode vacuum tube. Like a conventional vacuum tube, it generates the warm overtones and response that are distinctive of vacuum tubes. A newly designed light-touch waterfall keyboard is featured. Performance techniques distinctive of the organ, such as glissandi and trills, can be reproduced perfectly. 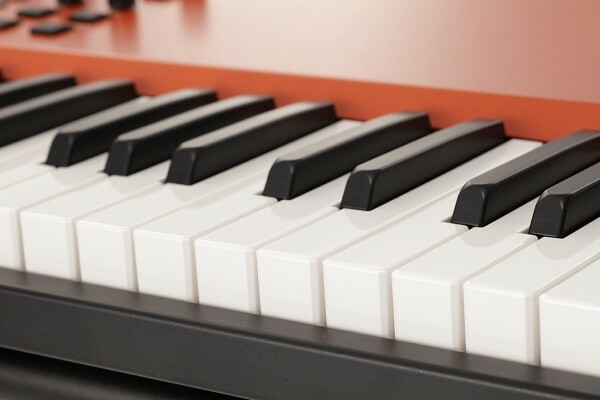 Semi-weighted design means that playing feel is also excellent for piano or electric piano performance. Even when you're playing complex chords or difficult phrases, sensitive velocity control is assured. 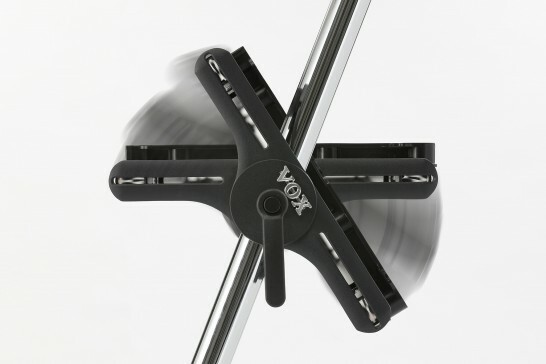 The dynamics knob lets you control the way in which your playing dynamics (velocity) affect changes in volume and sound. Turning the knob toward the left gives you a wide range of expression from pianissimo to fortissimo, allowing the richly emotional performance that you need for a solo or for singer-instrumentalist playing. Turning the knob toward the right will make the loudness of the sound consistent regardless of your keyboard playing dynamics, ensuring that your keyboard backing will not be buried in the sound of your band or ensemble. Favorite sounds or frequently-used variations can be registered as one of 16 scenes (4 scenes x 4 banks) and recalled instantly while you perform. You can also use a USB flash drive to save and load up to 100 sets of 16 scenes. 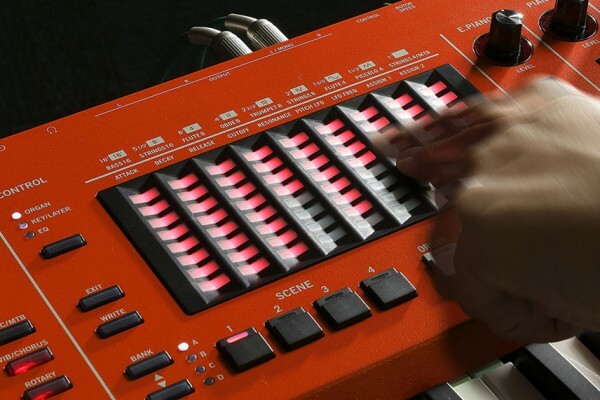 For the keyboard player who works with multiple bands, this feature allows sets of scene memories to be managed without confusion for easy access to the sounds you need. 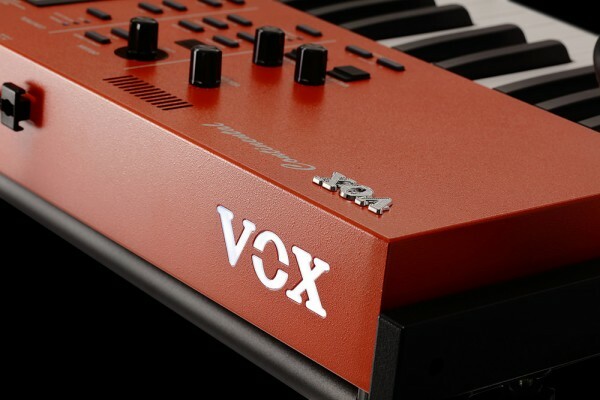 The design and features of the VOX Continental are optimized for live performance. 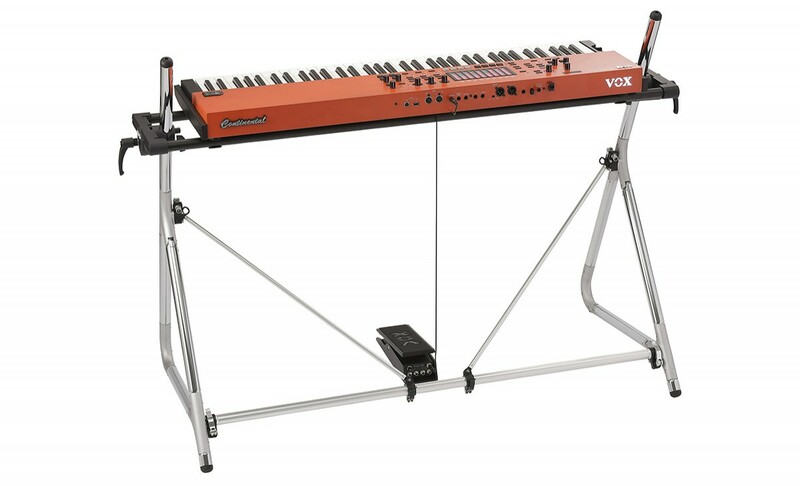 The body sports the distinctive scarlet color that's traditional for VOX organs, and is made of sturdy sheet metal and lightweight aluminum to ensure durability, and its slim and compact design guarantees excellent portability. The OUTPUT jacks provide XLR balanced output to preserve the quality of the audio output without having to use D.I. 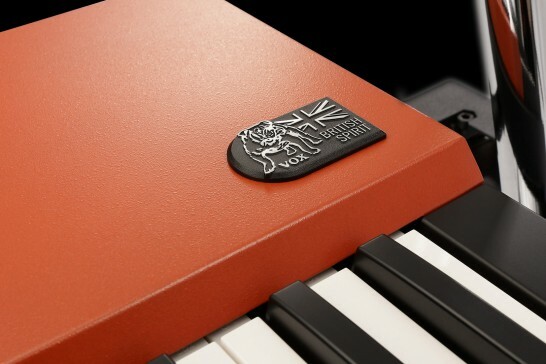 The rear panel VOX logo is fully illuminated; along with the bulldog badge, this makes a bold on-stage assertion of this instrument's English heritage. A volume/expression pedal (V861) and dedicated keyboard stand (ST-Continental) are included as standard. 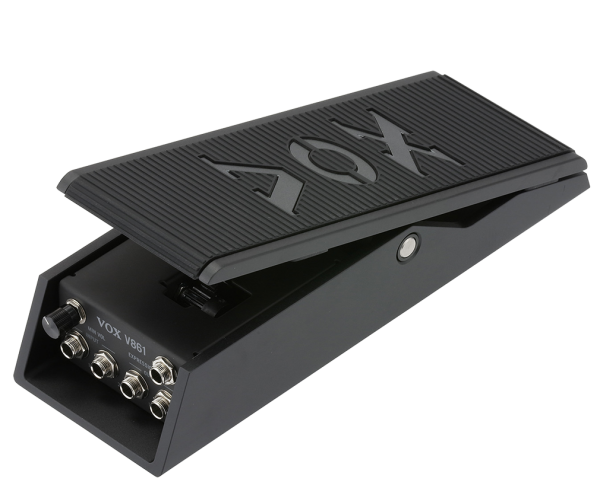 The V861 features a compact and sturdy black-anodized aluminum chassis for a sophisticated look; it provides two sets of INPUT/OUTPUT jack and one EXPRESSION jack that let you use it to control volume or wah. The ST-Continental's design brings to mind the VOX organ player of the past, and provides a side lever that allows the angle to be easily adjusted. 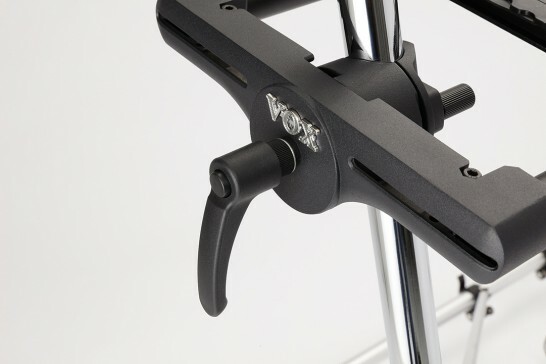 Since this stand allows the VOX Continental to be completely secured with screws, it allows bold tilt settings, such as angling the panel and keyboard toward your audience for greater performance impact. 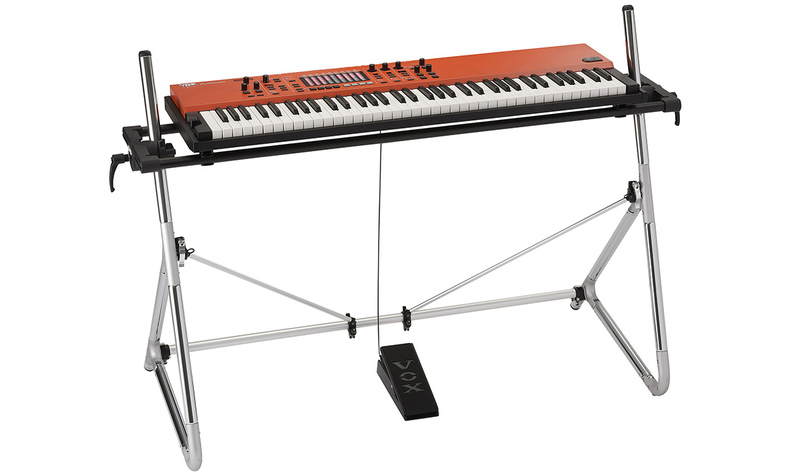 It's a dedicated stand for a new generation of keyboard heroes to perform live.